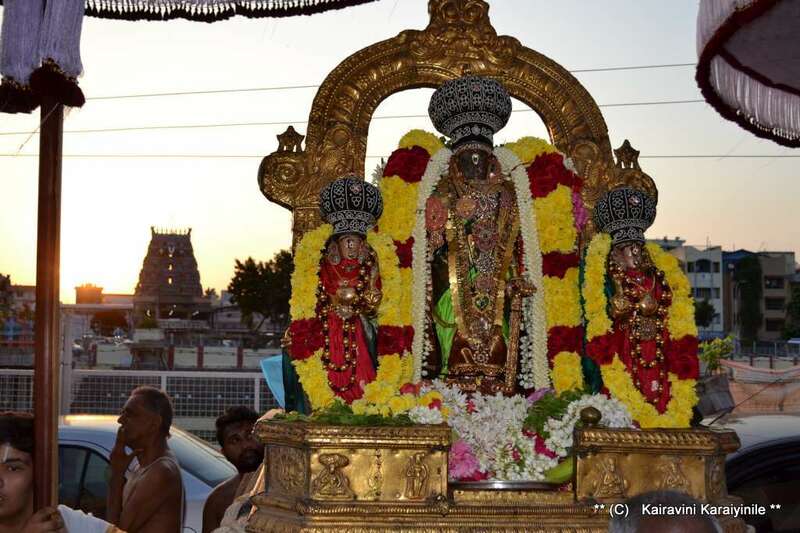 Today 24th Sept. 2015 is ‘ Thiruvonam ‘ in the month of Purattasi ~ the day marking the sarrumurai of Sri Vedanthachar. 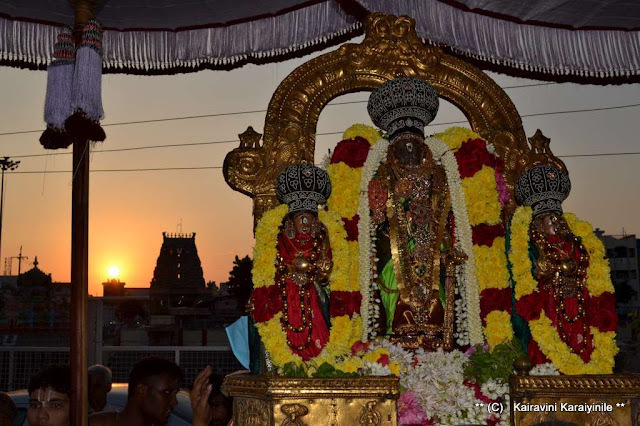 Swami was born in Thoopul, near Kanchipuram; was named Venkatanatha and grew to become a great scholar. 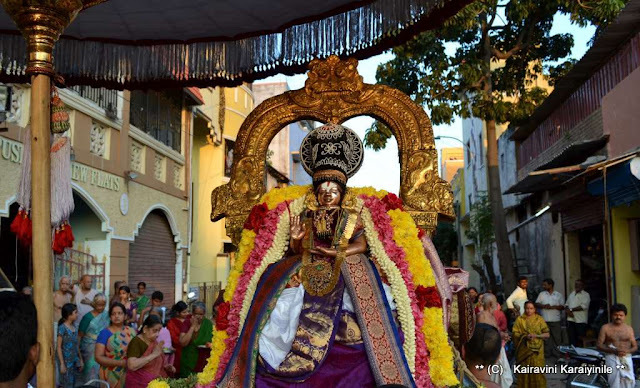 Thupul [Thiruthanka] is a Divyadesam where Sri Deepa Prakasar is the presiding deity. 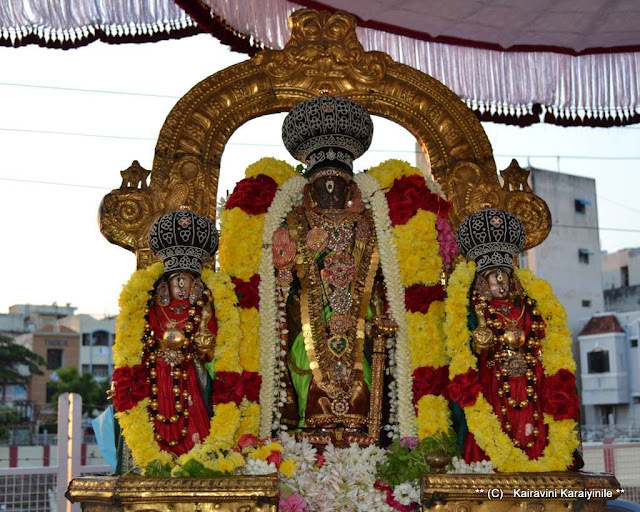 At Thiruvallikkeni, there was periya mada veethi purappadu of Sri Parthasarathi along with Sri Vedanthachar. 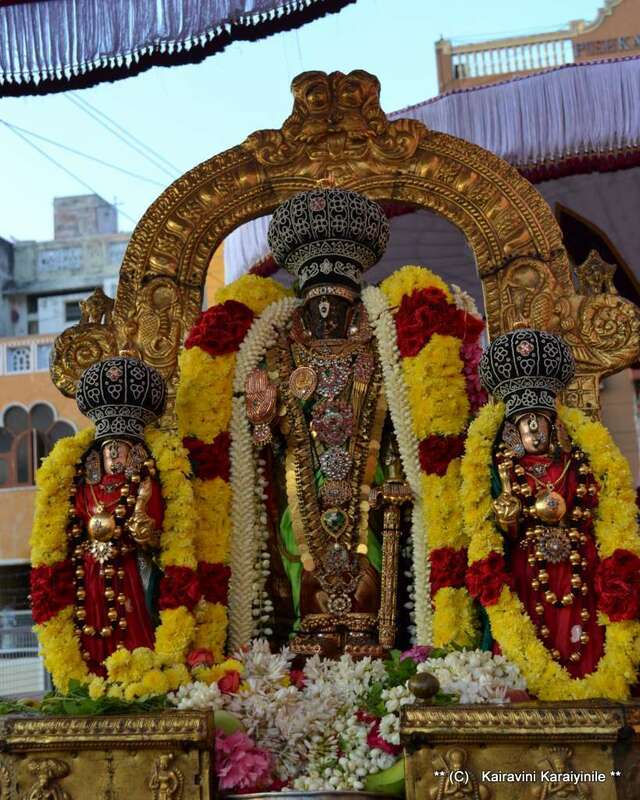 Iramanusa Noorranthathi was rendered in the goshti. Here are some photos taken during the purappadu.